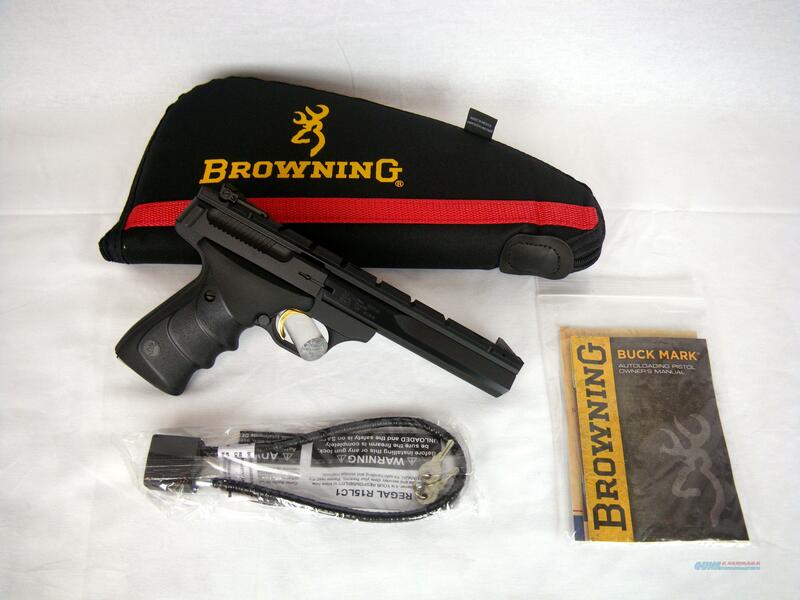 Description: You are bidding on a new Browning Buckmark Contour URX in 22 long rifle with a 5.5" barrel. With a specially contoured barrel, this Buckmark has style to match its amazing accuracy. The full-length scope base will allow you to mount just about any reflex, red-dot, prismatic, or magnified optic you want. You can adjust the Pro-Target sights to ensure you are dialed in tight if you don't want to mount an optic. Included is a Browning pistol rug to make sure you keep the matte blue finish pristine. Displayed images are stock photos. Any questions please feel free to ask (our phone number is in the additional information tab above).